What is the Future of Institutional Dance? and curated with this in mind. Sarah-Vyne demonstrating a rolling task arm and leg stretched out along the floor at the Murmuration arts and education day. Photograph by Gisella Vollmer. and advocate for dancers with disability. now developed into an anxiety disorder. sector at large in Australia. choreographer, teacher and arts manager. self-managing the best way that I should. ‘In Transit’ first stage development by Sarah-Vyne Vassallo. Dancers, Chris Bunton, Anthea Doropoulos and Sarah Fiddman. Produced by DirtyFeet 2014. Photography by Hayley Rose. disability in the Australian political climate. and that language serves many purposes. found this to be profoundly true. We don’t fit under one label. We can’t tick one box. this field. We make room. We regenerate. Article Cover Image is a part of Murmuration. Directed by Sarah-Vyne Vassallo. Photographer Gisella Vollmer. Butoh style and brought it to the world stage’, obituary by Martin Childs in ‘Independent’ (7 July 2010). year with the BBC and South East Dance . collaboration, dance company structures and disability dance. Spending long periods inside of this structure with Candoco, I became lost. guished guests, ladies and gentlemen. within an institution I had the question. sense of empowerment ‘taking artistic responsibility’ continues to give me. institutions, I work ‘with’ institutions. Stockholm at Dansens Hus on 5 & 6 March. performer? And vice-versa. Why work in this way? ‘Yes, we would love that,’ Martin and Jenny replied. art form as a genre. This needs to shift. What cultural shift needs to happen for dance as an art form to include disability in its fabric? I respond by setting up Dan Daw Creative Projects. How do you respond? between Kate and collaborator, Welly O’Brien. awareness of authorship of the duet. which at the time seemed inconsequential. to see development ‘as it happened’. signify our process of trial and selection. is integral to identifying as a leader. of our research and our interrogation. and experience in a particular area. the work as ‘mine’ and consequently my feelings of leadership and autonomy. be perceived as a journey into leadership. I have not perceived myself to be a leader. make a leader of myself or make others see me as leaderful. rewind, fast-forward and zoom in and out. what I should show and what I should omit. for questioning my own position in dance. share my vulnerability and my strength. Kate and Welly in ‘Famuli’. Welly holds on to Kate’s neck as Kate pushes her away. Photograph by Matthew Niemc. was about the real us and our real bodies. practice and my immediate response to it. from detaching from my foot. as if my hand is the balloon. I extend the balloon above my head. As I do this, O’Brien looks up and watches me from the bench. filled balloon suspends next to the bench. or where my hand ‘should’ be. dance, impairment must be manageable. body, and therefore, part of my dancing. both training and professional practice. extra and peripheral to ‘normal’ dancing. through a lens of trauma and need. leading centres of music and contemporary dance came together to form Trinity Laban Conservatoire of Music and Dance, UK’s first ever conservatoire of music and dance. legacy projects and sector development initiatives, GDance work to effect positive change in dance, the arts and society through challenging perceptions of disability. REFERENCES Pavis, Mathilde. ‘Is There Any-body on Stage? A Legal (mis)Under- standing of Performances’. Journal of Theatre and Performing Arts 8.2 (2014): 11-41. Theatre, Fura Dels Baus and Wired Aerial. experience brings different textures and qualities into her work. world can be expressed and experienced. start working together with our own lingual approaches and open them up for each other to learn. I employed touch, movement and sound as core principles in which we approached sense and meaning making.2 The PA A project began with individual meetings with Veera KivelĂ¤, who I met at Maljapuro Activity Centre. Our sessions were based on improvisatory explorations around communicating with each other and the space we inhabited. Later on, I expanded the process to a series of individual and group meetings with additional participants. During these meetings, we focused on different choreographic and perceptual practices, including talking with living and inanimate things within our surroundings. In the process, we took time for touching, grouping things, dwelling with, inhabiting and rocking. The work proposes that environments of not-knowing is a critical practice that could expand knowledge instead of shutting it down. The work is also about sensitizing, exploring how we intimately experience and express our world experience. Eikun onko sekin liikaa? Oisko sekin liikaa? 2. No it´s not. 2: Ei oo. 1. Noo, yes it is too much. 2. 8. Se ei oo ainakaan liikaa. 1. Isn´t that too much? 2. That is for sure not too much. 1. It is also too much. That 8 is also too much. 1: 2. I want! On sekin liikaa. On se kaheksankin liikaa. 2: don´t! Minä haluan! 1. No you 1: No et halua! 2. Could we agree on this? 2: cannot. Voitasko We sopiacannot. tämä? 1. No we 1: this Ei sovita ei sovita. 2. We did a really long time last time. Me tehtiin tätä tosi pitkään sillon viime kerralla. No sillon kun me oltiin kahestaan. Mmh...me tehtiin tosi pitkään, sanottiin varmaan 30 juttua. Nyt en sano kovin montaa. Eikun kaheksan on aika, sekin on liikaa. On se kahdeksankin liikaa. 2. Well 8 at least. 1. No but 8 is also, it is also too much. It is 8 too much. 2. No it´s not. 1. Yes it is! tried to visualize yet that do not in my notations reach their fully rich expression. Languages & materials in collaboration with: Veera Kivelä, Antti, Anna Kumpulainen, Petri & clients of Sofianlehto Service Centre. Made possible by: HelCre-project, Helsinki City & Ministry of Education and Culture. Original Graphic design: Tomi Tallqvist. Musical Consultation: Anni Tolvanen. Production of Without an Alphabet project: Eastern Finland Regional Dance Centre Supported by: Saari residence / Kone Foundation. Mentors: Tomi Paasonen & Katriina Rosavaara. Article Cover Images are excerpts from the text ‘PA A’ by Sonja Jokiniemi. An excerpt from the text ‘PA A’ by Sonja Jokiniemi. shifting needs in the sector. fourteen artists in residence, four assistant artists and two lead choreographers. respond verbally in group brainstorms. tippy-toes, leans awkwardly before falling. program notes. See also online: http://www. Theatre Research International 40 (2015): 170-185.
of professional pathways for future inclusive dance praxis. Thanks to Catalyst, the pathways of Australian dance artists working inclusively crisscrossed twice over the past two years. The group’s experience working together was evident in their ease, efficient pace and synergistic presence. Indeed, the two-year process catalysed, as one artist in residence described it, ‘an atmosphere of journeys’. Now, bodies, minds and imaginations cultivated, they are raring to journey on. articulating and striving for nonetheless. arts practice is in its infancy in Australia. the needs of someone living with autism. could write a thesis on this topic alone! I have been involved in since its inception. function – or temporarily dysfunction. understood. I am changing this. of artists living with disabilities – whether those are in plain sight or hidden from view. abilities, many of them experts in their own right in living through systems of exclusion. awareness practice, for many years to come. are often stretched to near breaking point. practice in the way Catalyst Dance has. Article Cover Image is Sea in Me by Dean Walsh as part of Catalyst Dance 2014, Accessible Arts. Photograph by Gisella Vollmer. Australian arts and cultural landscape. RITA MARCALO In 2009, I began a trilogy of works investigating my relationship to epilepsy. The first was ‘Involuntary Dances’ (2009), where I presented an epileptic seizure as performance. The second was ‘She’s Lost Control’ (2010), where I created an immersive performance allowing audiences to gain insight into my experience of having a seizure. The last instalment of the trilogy, ‘marcalorita’ (2014), was a film originally commissioned by the Live Art Development Agency (London) and Abrons Arts Centre (New York). This photo-essay, ‘Invisible Disability: Moving towards Disappearance’ is a reworking of that film. practice, I would have said you were mad. It didnâ&#x20AC;&#x2122;t seem like the natural career path. to create movement is always the same. collaborators of the highest standard. A project I am currently working on as a Mentor is the Catalyst Dance Residency through Accessible Arts. It has attracted high calibre emerging artists with disability who were paired with nationally and internationally recognised leaders in integrated practice. These practitioners are not using disability as a way to get closer to mainstream arts, but demonstrate that artists with disability have the capacity to communicate their choreographic intent in a way that adds value to their vision. Ultimately, it has to be about the art, not about the ego. Pairing artists that utilise innovative practice with disability means both creators and dancers are learning reciprocally. 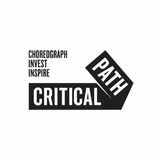 The partnership and conversation between emerging and established artist is integral to the continued promotion of integrated dance. The mentor not only models career pathways and shares opportunities but also provides guidance and advice that is relevant and accessible. It is an exciting time as the next generation of artists emerge and find their individual creative voices. Article Cover Photograph by Andy Rasheed of Restless Dance Theatre Artists. 3 South Australian Film Awards. Disabled Body’ symposium last November. had, as a disabled artist it did worry me. own - we have the ‘tipping point’. around dance, disability and aesthetics. programs aim to commision work by disabled artists. of Candoco Dance Company1 by Celeste Dandeker and Adam Benjamin in 1991, the hosting of the Olympic and Paralympic Games in 2012 in London, and not to mention its legacy in the establishment of the Unlimited Festival2. Even with these and other similar events, some believe we are still on this metaphorical verge. What cultural shift needs to happen for dance as an art form to include disability in its fabric? What needs to happen for disabled artists to join me down here and feel like they have tipped? Let’s start by doing the biggest plié of your lives and jump. It’s brilliant down here. company of disabled and non-disabled dancers. Candoco produces experiences for audiences and participants that challenge and broaden perceptions of art and ability, and place people and collaboration at the heart of their work. for the entirety of my design degree. frightening design problem for me. wasn’t easy to design in an accessible way. of shrinking the size of the words. differing highlights, shadows or colours. and consistent experience for all viewers. significant but in reality is quite a shift. format to present information in. This is 8 pt text. This is 12 pt text. currently engaging, in the conversation. give up and just create a word document? that is to start now. Sydney and is in his third and final year. 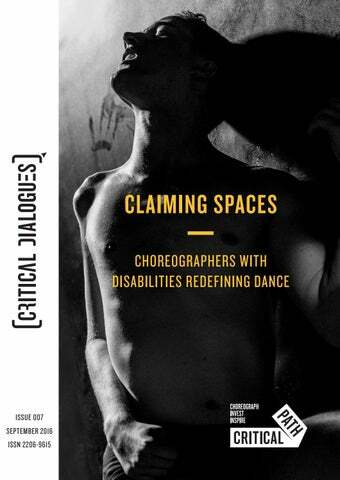 Choreographers speak about their experiences and claiming spaces as artists with disability.